Americas Cardroom is part of the Winning Poker Network, also known as WPN. The Winning Poker Network is one of the 5 largest poker networks in the world, and is the world’s fastest growing poker network. Americas Cardroom is by far the largest provider in the WPN network. A large advantage to this poker room is the high traffic by players from the USA. Additionally, Americas Cardroom offers players the opportunity to deposit and withdraw with bitcoins and other cryptocurrencies. Due to the high number of US players, the best traffic is during evening and late night hours in Europe. However, even during normal European times you’ll always find running tables. Americas Cardoom offers many interesting promotions and a great rakeback offer for grinders. The poker lobby is well laid out and straightforward- even beginners will find this poker room easy to navigate. Selecting poker tables is very easy. Americas Cardroom offers filters that help you find the right poker game and buy-in/limit, quickly getting you to the tables you want to play. Americas Cardroom also offers easy deposits and withdrawals through their Lobby Cashier. The Americas Cardroom Cashier has some of the best payment options available. Variety of options means you can buy in from anywhere in the world. In the cashier portal moving funds into and out of your account is easy. The cashier tab also allows you to access your current account balance and player points accumulated from each game and tournament you play. There is a deposit and withdrawal button at the bottom of the cashier that allows you to update your financial status. You should regularly check back to review the options section on the cashier tab as Americas Cardroom is constantly updating their payment methods. 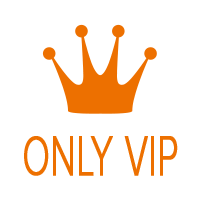 You can also cancel a withdrawal through the tab titled reverse withdrawal. Americas Cardrom offers all popular poker variants. Like most other online poker rooms, the majority at Americas Cardroom players can be found at the No Limit Holdem Cash Game tables. Americas Cardroom also has a great selection of interesting MTT tournaments. Different tournaments take place every day, increasing your odds of winning large cash prizes. Their tournaments run the gambit from normal freezeout tournaments to rebuy tournaments. Americas Cardroom also offers several tournaments with a guaranteed prize pool. And of course, there are always enough tables for Sit & Go players, especially on the buy-ins below $10. At higher buy-in tables, the traffic is not so regular and the best time to play SNG is during the peak hours. General traffic at Americas Cardroom has been on a long upward swing, meaning increasingly these tables are bustling during off-peak hours. Americas Cardroom offers a great variety of promotions each month. Like many rooms they offer a first deposit bonus of 100% up to $1.000 maximum. Additionally, there are regular jackpots offering prizes up to $ 100,000 to winners. The Sit & Go Crush promotion is very attractive and can bring you a quick cash windfall. More information about the whole promotion can be found at the end of this article. The Jackpot Spin & Go tournaments are particularly popular. In these tournaments, each player can multiply his buy-in with up to 2,500 within minutes. Due to a sub-par talent pool and big profit opportunities, these Super Turbo tournaments are one of our players favorite games, and have traffic 24/7. New players can enjoy a fantastic promotion that offers $50 free poker money. All you have to do is make a real money deposit of at least $ 20 and from that point on you’ll be credited with $ 2-6 of cash every day when you log in to your player account. Under the promotions section you will find your daily cash prize. It’s that easy! Log in once a day and earn money. 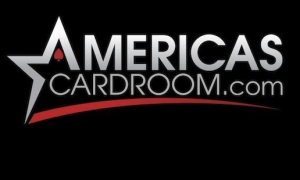 The American Cardroom Support is available 24/7 and happy to help with any questions or problems. Otherwise, visit their FAQ, it offers detailed answers to most technical questions. 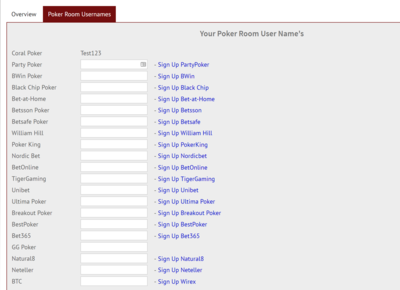 How to sign up correctly via YourPokerDream at Americas Cardroom? Step 3: Download free and secure software. Step 4: Create an account in a few simple steps and press at the end create my account. Step 5: After you’ve successfully signed up for Americas Cardroom, all you have to do is log in to your YourPokerDream account and enter the username which you have chosen at Americas Cardroom and press “save changes”. From this point on, everything will run automatically and you can use all exclusive offers from YourPokerDream in addition to the normal offers of Americas Cardroom.